Ever wonder how many Oregonians served in each war. 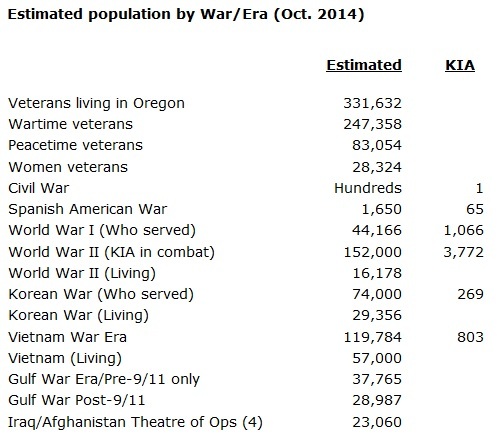 This perfect chart by the Oregon Veterans Dept. shows you the amazing numbers.